We’re so proud of the team at Brides of Berkhamsted and you can feel confident that you are in the safest of hands with over 65 years of experience between us. We’re a friendly and down to earth bunch, which you can find out more about from our testimonials. If you have any questions or would like to book an appointment please click here or call 01442 874 006. We would love to hear from you soon. 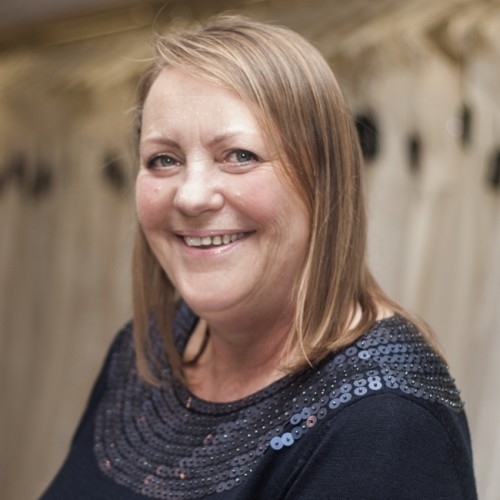 We started out as a mother and daughter team, Julie (the Mum) started life in the black tie dress hire business, moving on to 10 years experience in a bridal shop, she’s so passionate about achieving the perfect look for our brides and more often than not becomes a second Mum to many- our Brides love to come in and have a chat with her and she never says no to a cuddle! 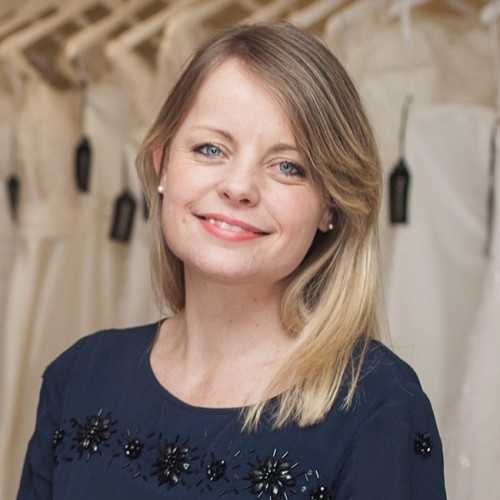 Lucy (the daughter) started the Bridal journey at 17, working at a bridal shop whilst doing A-levels, where she got the bug! She went into marketing for 6 years post-uni but couldn’t shift the urge to start a shop, so they did it! Nothing is too big a problem for her and has solved many a dilhema for our brides when it comes to other parts of the wedding. Carol works with us Saturdays and Sundays (and you’ll often see her during the week when she can’t keep away!). 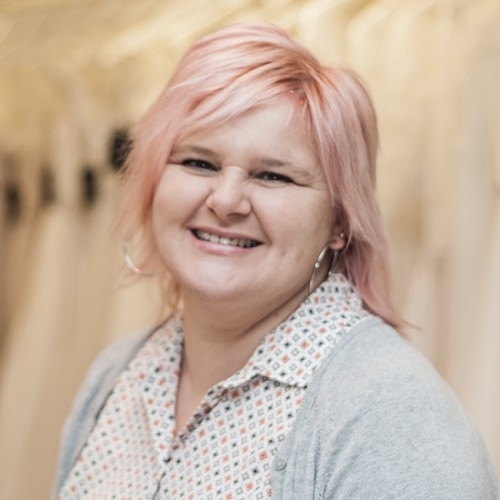 What she doesn’t know about wedding dresses isn’t worth knowing- coming from a bridal shop manager of 21 years, she has the experience you need and can trust, she will go to the ends of the earth for our brides. We are so privileged to have her in our team (beware though, she doesn’t like using the computer!). Dawn is our very loved seamstress. 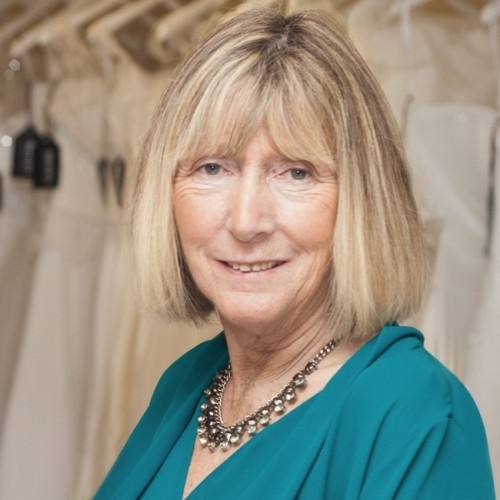 We offer our alterations as part of the Brides of Berkhamsted service as we believe this is THE most important part of your wedding dress journey- Dawn has been a bridal seamstress for 24 years and has fitted every type of gown imaginable, not only will your dress be perfect for your big day, you can be sure you will enjoy the dress fitting process as much as you did choosing your dress. She is an absolute credit to our shop! 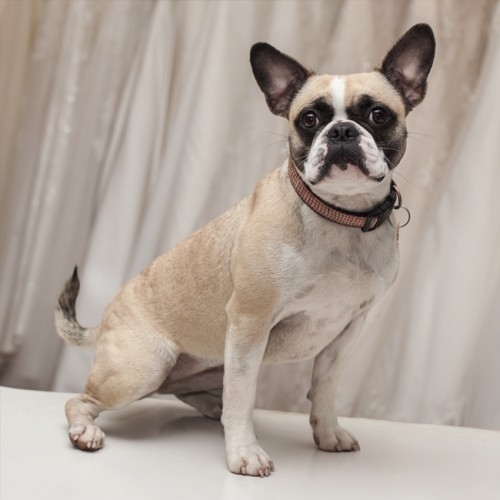 During the week you may also come across Luna, our shop dog, she doesn’t have any Bridal experience but is very good at making our brides smile and entertain your guests! Please let us know at the time of booking an appointment if you’re not a doggy person and we will off course make sure she’s out on walkies.